We sell a range of Trench Sheets designed for convenience and ease of use in trench work and shoring applications. Two profiles are available: SHS-330 trench sheet (3.5mm steel) and SHS-400 (6mm steel), both rolled from high-yield steel for high strength and durability and available in various lengths. 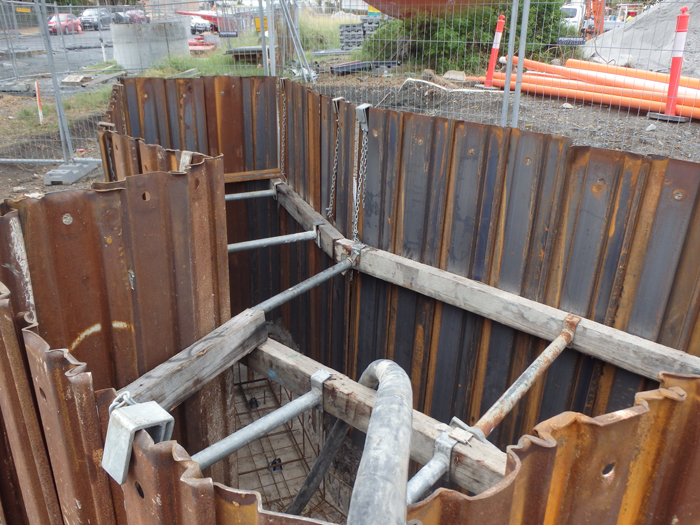 In fact, we can supply profiles and lengths to suit any application – including engineered trench sheet solutions. 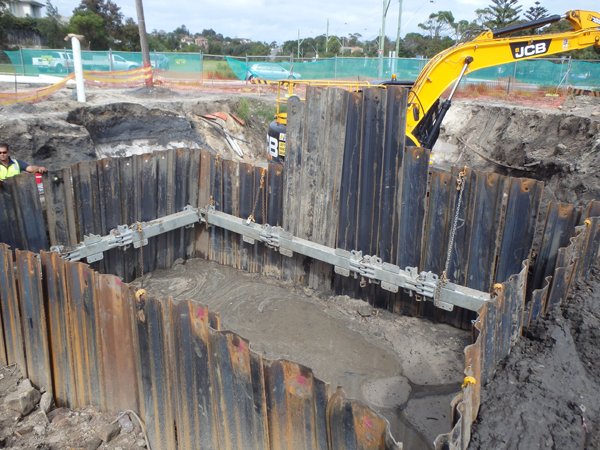 Sheets are compatible with the full range of Shore Sales shoring systems, such as our trench boxes. The simple lapping method of Shore Sales’ trench sheets allows the product to be re-used and repaired with ease through brake pressing in the event of damage while driving. A half clutch at one end allows for easy sheet guidance when installing. Shore Sales’ reputation for reliability and our capacity for supply means our customers are never left wanting.